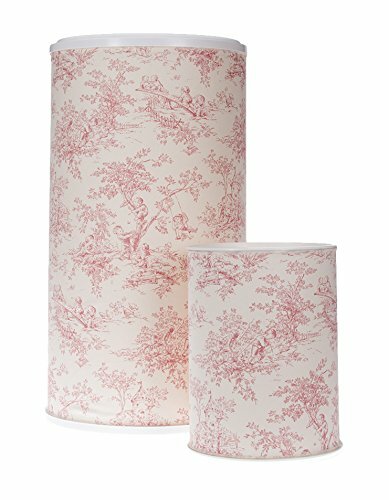 Glenna Jean Isabella Toile Hamper and West Basket Set. Fabric cover adds style and color to a very industrial looking product. Removable cotton cover is washable. Won't slip or twist, never sag. Velcro closure.